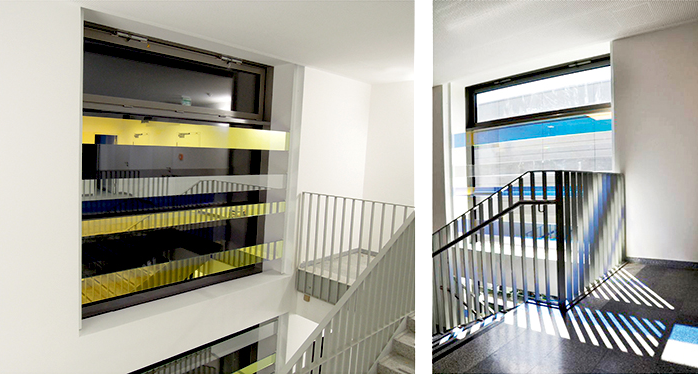 In the reveal of a staircase, effectively colored and mirroring glasses reflect the design of the building‘s facade. Depending on the intensity of the light and its situational change, the cast shadows alternate and the surface of the glasses is transformed due to transparency, reflection and change of colour. In synopsis with the environment, a visual composition emerges that sequentially breaks down the view, and therefore only fully opens up to the recipients when they move.